I had been planning to continue the Cornwall blogs this evening but those will have to wait a little while longer following one of our best days birding for quite some time. Earlier this morning the outlook couldn't have been less promising however with heavy rain battering against the windows, strong winds tearing across the valley and a cloud base down almost to sea level. It was only when the worst had passed that we decided to venture out to Sandy Water Park with the vague hope of relocating a Scaup which had been reported there earlier in the week. In truth I expected it to be long gone so was quite happy picking my way through some of the other residents when Emma piped up that she'd found it. She was right. 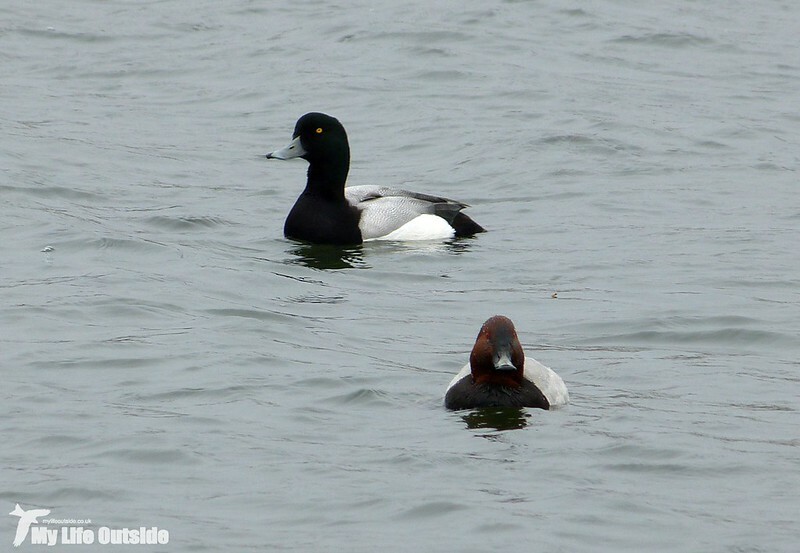 There, right up against the near shore, were a small group of Tufted Ducks with our target bird slap bang in the middle. I couldn't believe our luck! A brief jog (I won't admit to a full run obviously) soon had us in range and through the vegetation I managed to find a clear view. Up close this adult male was absolutely stunning with intricate feather-work to rival anything else I've ever seen. 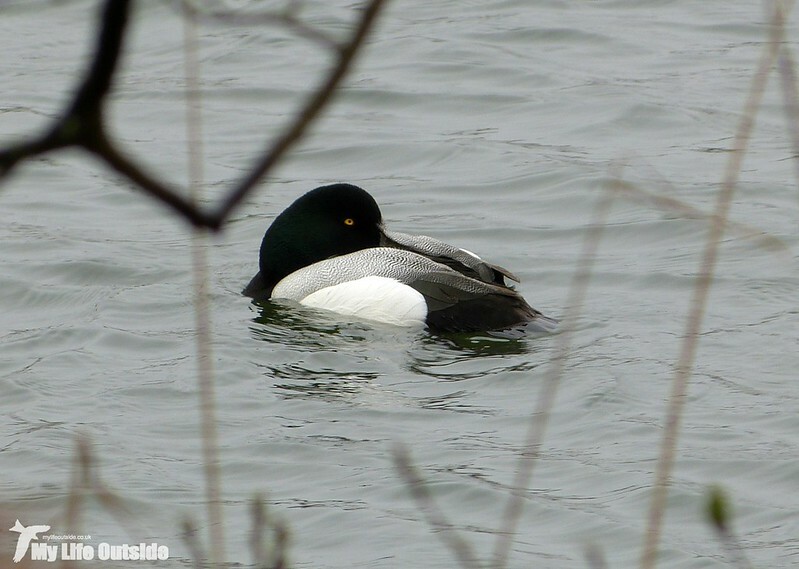 Having it in such close proximity to the similar Tufted Ducks also allowed its larger size to clearly be discerned, something which only became more obvious as it woke up and went for a little swim. With each dive the Scaup travelled further out into the lake and there was soon little point in taking any further photos. Instead I put the camera down and simply watched and enjoyed a species which I get to see all too rarely. In fact the last was several years back at Kenfig and none before or since have ever been so close as this one. Of course there were plenty of other birds present including at least six Pochard, two Gadwall, four Cormorants and our first two Welsh Sand Martins of the year, not to mention at least thirty Common Gulls out on the grass and a skulking Chiffchaff. 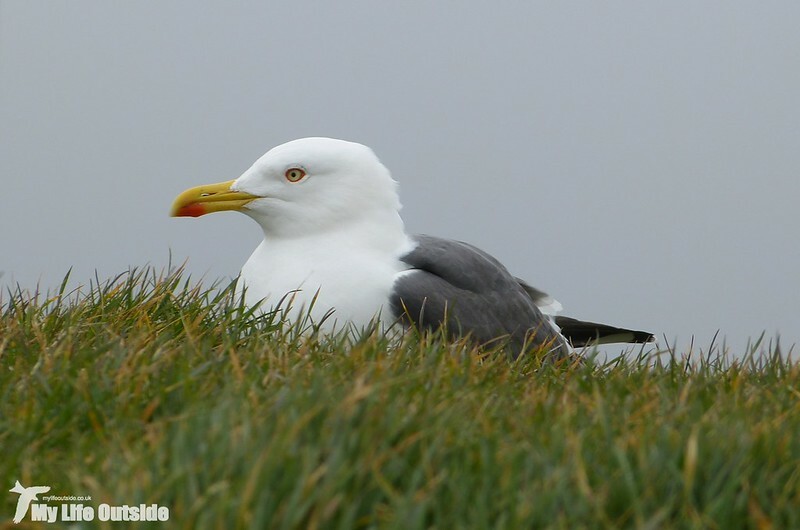 Further variety was to be found along the coast path including three Little Egrets and this Lesser Black-backed Gull. Not a species which always allows you to get so close. That initial success though had really whetted our appetites so we thought why not try and catch up with a few other local celebrities? The Forest Farm Little Bunting obviously sprang to mind but I really doubt we'd manage to improve on our last encounter so instead it was off to Cosmeston where the Lesser Scaup had been seen a couple of hours earlier. I have past form with this bird, assuming of course that it is the same individual returning year after year, but had so far failed to connect since its last reappearance. 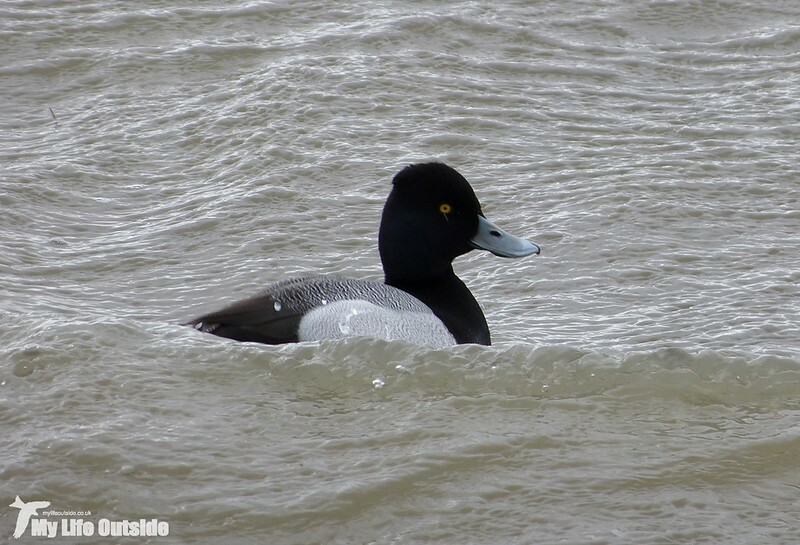 There were no such issues this time round as swimming right next to the boardwalk was one male Lesser Scaup. Even I would admit that today we were being more than a little jammy. 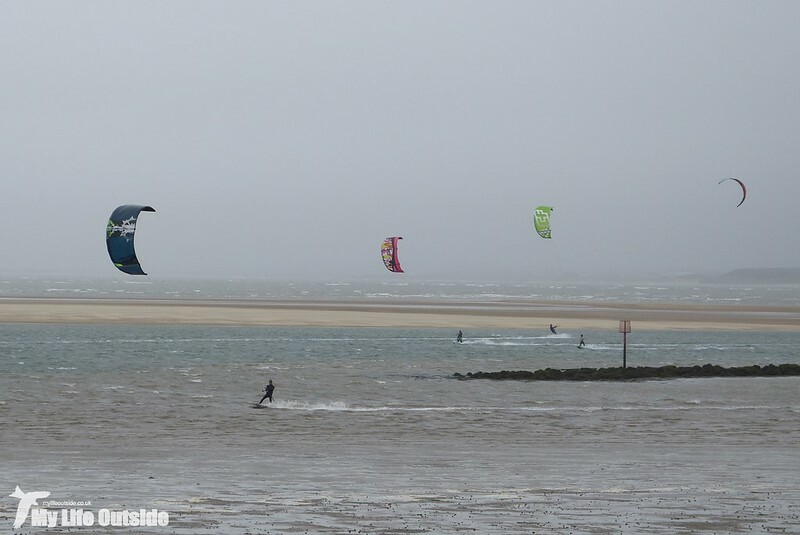 You can probably tell by the size of the waves above quite how windy it was and on several occasions I had difficulty holding the camera still. Nevertheless I persevered and got easily my best shots of this species to date. 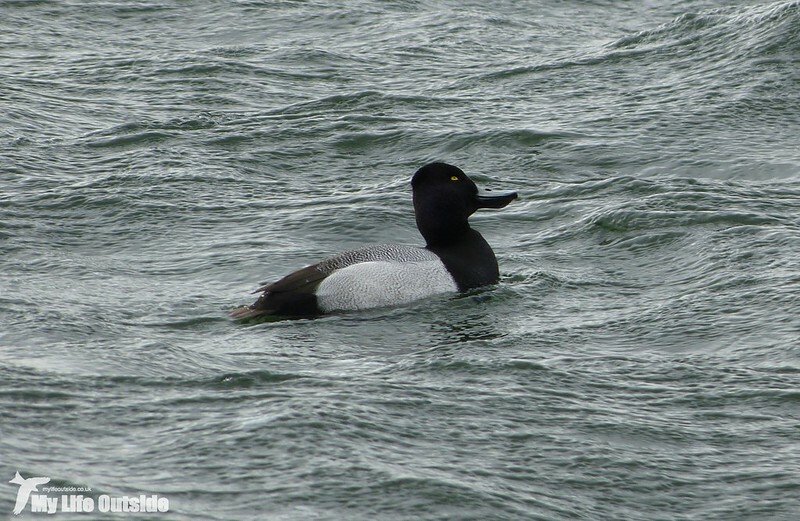 There was even a short period when the sun popped out and despite the Lesser Scaup going on a brief flight around the lake it was never more than a few metres away. With luck on our side we just had to do a quick circuit in case anything else of interest had turned up, and would you believe it we found another Scaup roosting distantly on west lake. 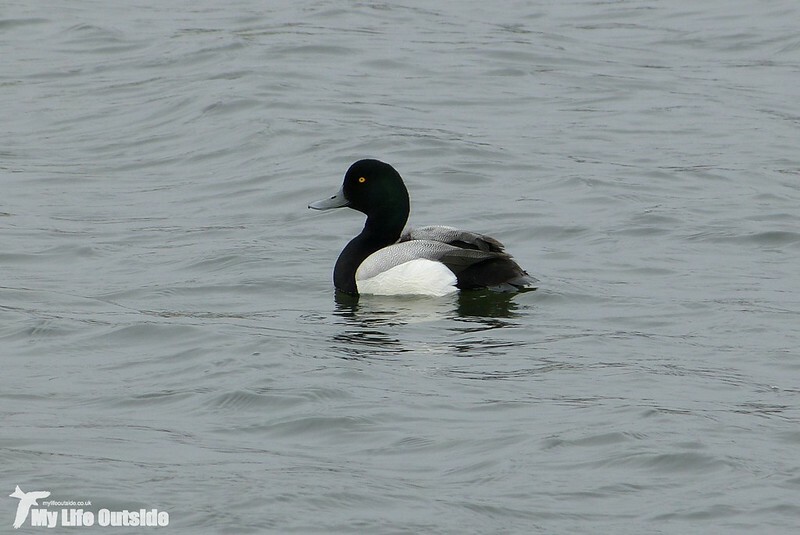 Clearly different from the Lesser Scaup in terms of markings, colouration and size I thought I had its identity sorted but a little research has revealed that it may in fact be a Tufted Duck/Pochard hybrid. A bird matching this description has been touted as such over on John Wilson's blog though I doubt my distant photo will either add or subtract from that particular debate. 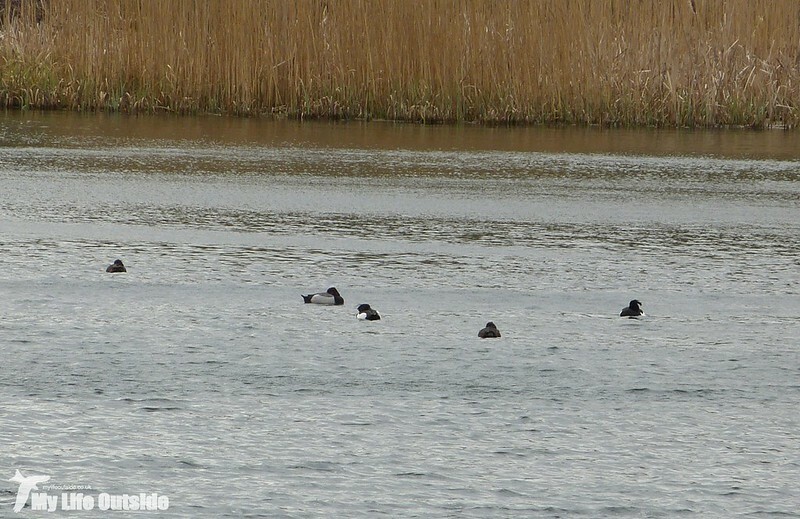 You can however just make out the slightly coppery head and Pochard like build (second bird from the left). Another couple of Sand Martins were overhead before it was time to move on again, this time to Cardiff Bay barrage. Judging from my twitter feed the bay has seen something of a gullfest lately with up to nine different species being reported at any one time. Of those I really wanted to see one of the two Bonaparte's Gulls and, continuing our good fortune, we were on to one almost immediately. It was flying roughly half way out and in the by now almost gale force winds proved far too distant for even a record shot. Through my bins though I could clearly pick out a black beak and small dot behind the eye, another star bird for Glamorgan and my third Bonaparte's to date (for the Ogmore bird click here). Yet still there was more to come! Approaching us along the barrage was an immature Iceland Gull at which I attempted, and failed, to get a few in flight shots. Chance missed, or so I thought, we watched it carry on by before being lost to sight behind the locks. When it didn't reappear we retraced our steps only to find it loafing about on the opposite shore. This time I will admit to running and who can blame me when it resulted in my third frame filling rarity of the day. And with that we really were out of both luck and birds. Who'd have thought that a miserable Saturday would result in Scaup, Lesser Scaup, Bonaparte's Gull and Iceland Gull? I certainly didn't but can we have the same again tomorrow please? Sounds like an unbelievable day. 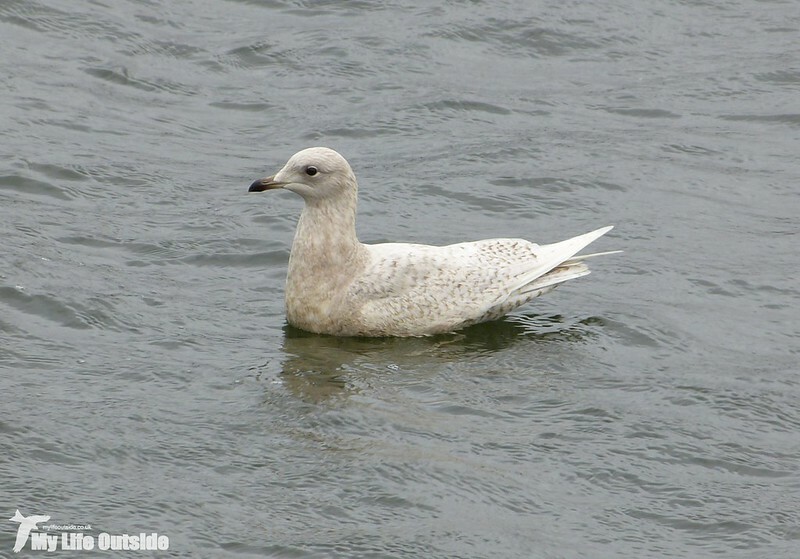 I dipped on Iceland Gull at the weekend. 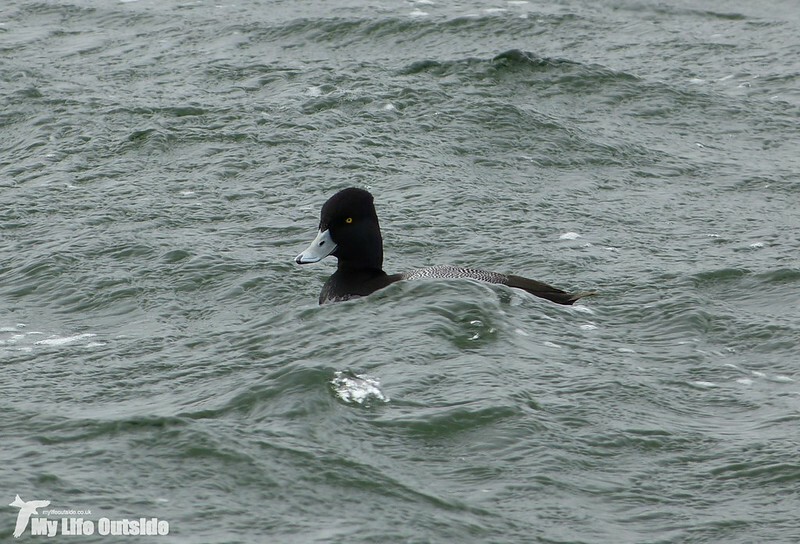 Really like the Scaup shots. 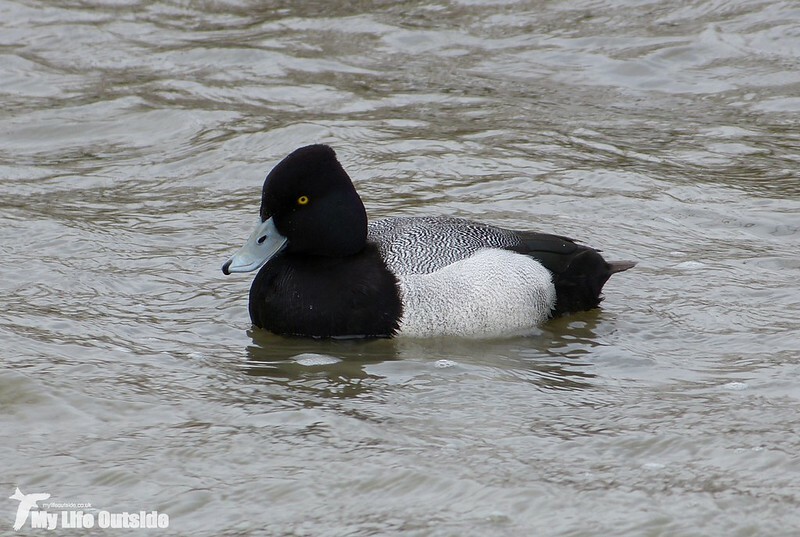 So great seeing the scaup! Really wonderful photos of your excursion that day and all your greast finds! 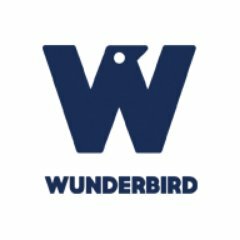 Wow, gorgeous photos and I love your duck shots!